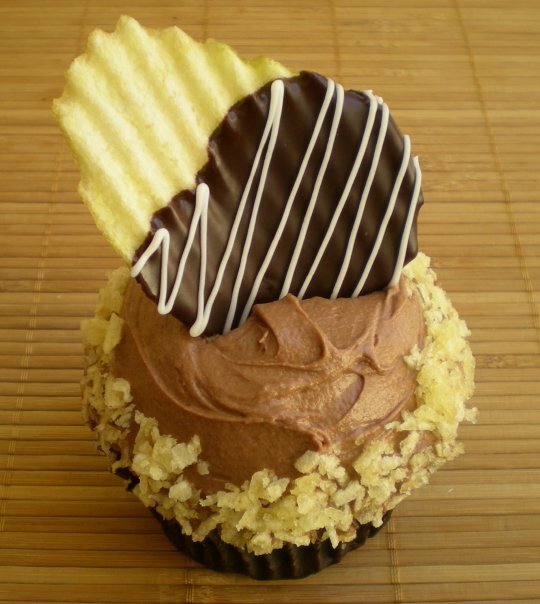 Being a salt lover as well as a cupcake lover, I couldn't resist a potato chip cupcake...let alone a chocolate-covered potato chip cupcake! 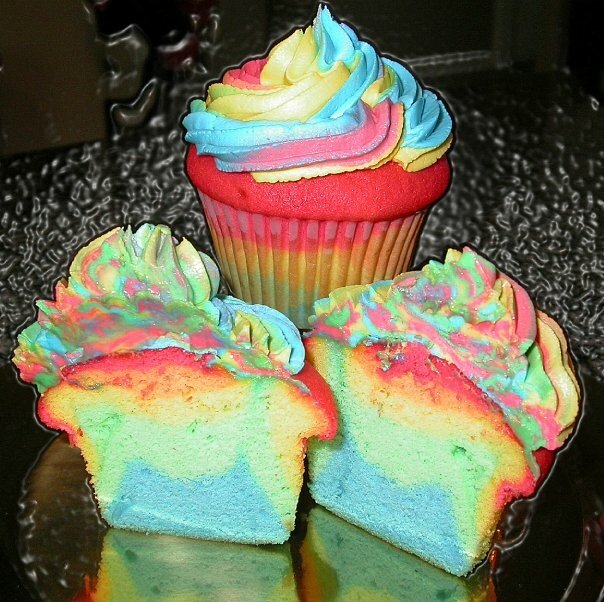 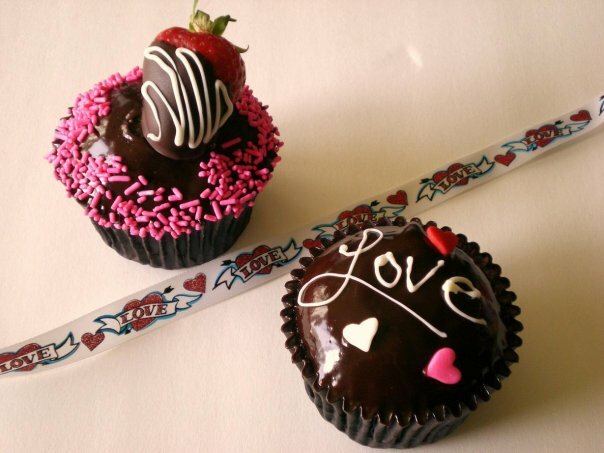 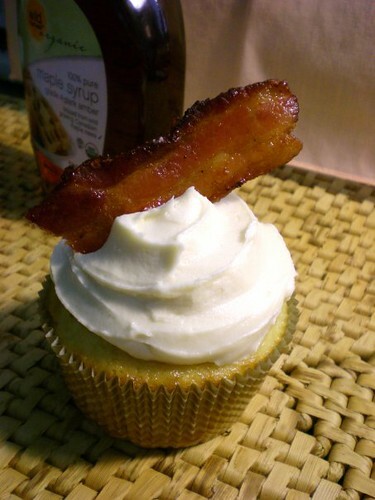 It's from custom cupcake company Over The Rainbow Cupcakes in Palm Springs, California, via their Facebook page. 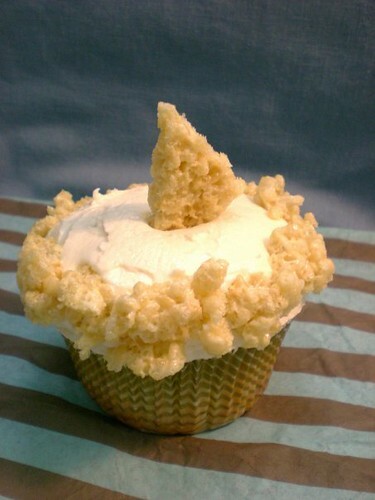 I think this is a Rice Krispie treat cupcake but am not totally sure. 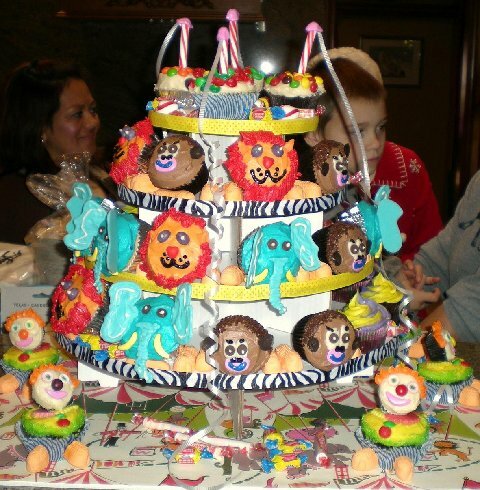 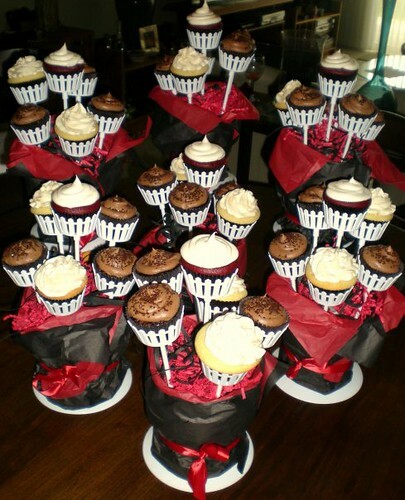 And last but not least, this is a kids' circus-themed cupcake tower that Over The Rainbow Cupcakes owner Roman sent us - they're gluten-free cupcakes!